Dinner candle light on Christmas and winter holidays. 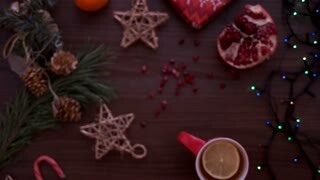 Set on wooden table with Christmas decorations. Christmas holiday candles and gifts. 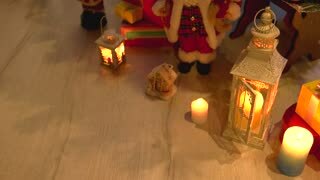 Burning lantern and Christmas decoration on wooden floor. Festive holiday scene. 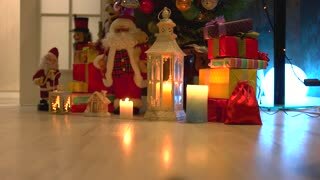 Gifts and candles under Christmas tree. 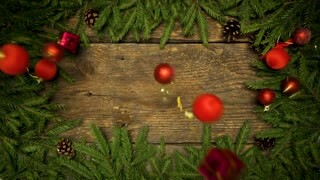 Christmas and New Year decoration on wooden floor. Winter holiday home festive atmosphere. Christmas holiday gifts and ornaments under tree. 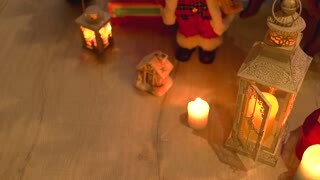 Burning lantern, candles, gift boxes and decorations on wooden floor. 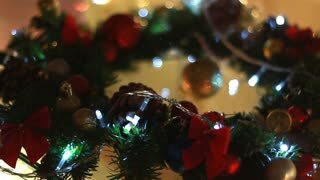 Festive holiday atmosphere.